Oh, what a day we have today, ha?! My buy limit order for USDCAD has been activated at 1.329 and I entered manually for DJ short at 25900 and CADJPY at 83.3. Feeling a little bit uneasy about DJ due to very wide SL, 200 points. Overall exposure with these three trades is also a bit too much, but I accept the risk of loss. Let’s see how this plays out. For those following Brexit - stay out of this one, guys! The probability of no deal is now rising after today’s events. If this will be the case, it will a spectacular example of collective self-harm. Holding my nerve on the CAD/JPY - that tanked pretty quick! My stop is almost at B/E at 83.1 so I’ll let it run. Funny how the mind plays tricks - you (not in the trade) see a bearish pin bar, me (in a long trade) see an undecided bar ! However when I look left I can see a similar volatile pattern - I had set my stop to the 10 day ATR rather than right at B/E - not sure that’s going to save it but at least I traded the plan. Are you sure your DJ entry wasn’t a bit driven by your previous win - in the same way my non entry in the same was driven by my previous loss! 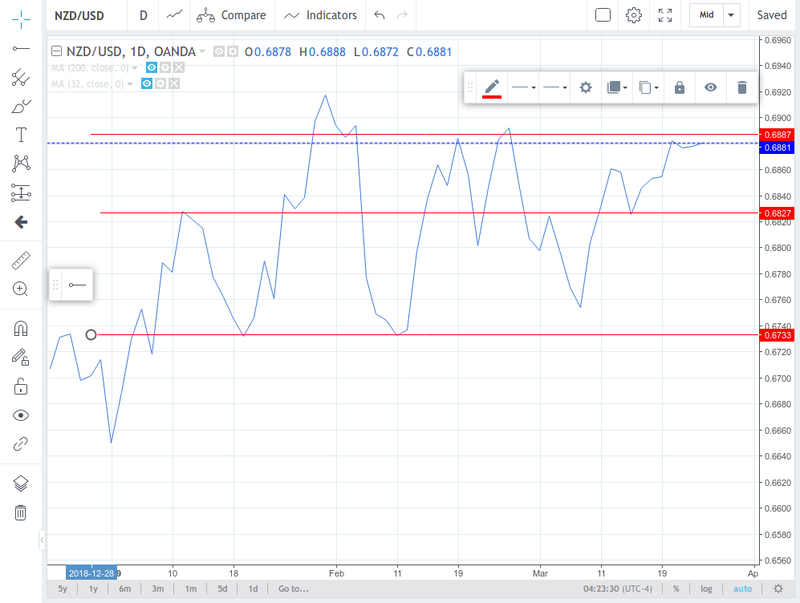 I was a bit more cautious on the USD/CAD and used a stop entry - I like to see it heading the right direction before I jump on it - not triggered yet. @Wightpips, your comment is of maximum value to me! Although I read it after I have quit my DJ entry (with minimum loss), you precisely explained the reason for me taking that trade - winner’s bias from recent successful trade. I think that DJ might go south, but with possible US-China trade deal soon (which might spark a rally in stocks) I think I better stay away. I am with you on CAD/JPY, we have now reached the neckline of the head and shoulders pattern, so I added another position from there on, at 82.4, targetting 80. USDCAD seems to develop alright, let’s see how it behaves at recent swing high, 1.346. If a bearish signal is forming there, I quit. If a weak pullback with pussible bullish signal, I add to the position. I also put buy limits on NZDUSD and AUDUSD for those huge pinbars that they produced. But I put entries high enough to reduce the risk. I dn’t think they will be triggered. Yep we have all done it - glad you got out with minimal damage. I put a sell limit ion the EUR/USD last night but it didn’t trigger - most of the recent similar patterns had a big spike up before diving down - but not this one - so I missed it by a few pips. Stopped out CAD/JPY - but only for 3 pips loss, 7 days up 2 down! Now watching for a reversal so I can go with the trend. Did OK in EUR/JPY my stop got me out at about 135pips so happy with that. Thanks for the heads up I’ll take a look at the NZD and AUS after NY close. Took at look at the AUS and NZD thanks for that- NZD is a bit too choppy for me and the AUS is a bit aimless - I like something with a direction or a range up/down/sideways type pattern. Sounds like you have a good structured entry though. CAD/JPY looking good for you, are you sure about the 80 level for a TP though ? Looking at the weekly line chart there is quite strong historic support around the 80.56-80.80 mark - if I was in it I would be looking at nearer to 81 for a safe exit. Thank you, @Wightpips! Let’s look at it together. I will now describe what I see and would then be thankful for your input! 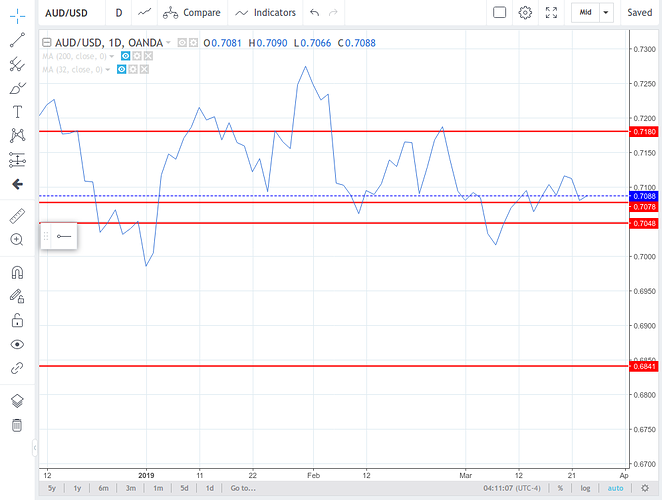 AUD USD is in a clear downtrend. It broke out of a channel in late October 2018. But it has since set up a new descending channel. Since late January 2019 we see two clear downward legs (waves) with lower lows and with weak corrective movement, failing to make higher highs. And the Thursday’s pinbar marked a possible end to corrective movement at 61.8 Fib level of recent downswing. My take would be that the price will go down as far as the September-December 2015 lows, at 0.69. Or at least to the lower border of the new channel, at 0.696. But I have already missed the entry on Friday and do not want to put too much risk into the trade, given that I have two other open trades. So, I guess I will let it go unless I see a lower risk entry in following days or later on at some lower point. NZD USD is in a range that is getting narrower since November-December 2018. The price on Thursday bounced off the upper boundary of the channel forming a pinbar. A good entry here would target the lower boundary of the channel, 0.6725, or pre-flashcrash low of 0.666. But again, no handy entry was in sight on Friday. If it does appear, somewhere at 0.69, I will go for it. If not, I will let it go. By the way CADJPY became top SW trade on Friday. I would potentially expect the return of the price to the neckline or near it and enter from there, with 100 pips SL, but I have already entered from the neckline at 82.4, as I posted on Friday. If no such pullback I personally would have let this trade go. USD CAD - we have analyzed it before. But pay attention to the weekly chart. The bearish week before the last one had been an inside bar in a clear uptrend. And our last week when we entered was a bullish engulfing based on failed bearish breakout from the inside bar. So, we should be very optimistic if price goes beyond 1.347 and add to the position, like we discussed earlier. Finally, look at DJ Oh dear, I should have held on to my trade! I think that even the US-China deal will not spark a significant rally, cause the US economy is clearly slowing down. So I think I will be seeking a re-entry on DJ/SP/NASDAQ to go short. For DJ - somewhere at 26000 with 26200 SL. DJ looks good to me, cause on the weekly chart we have a coil inside bar setup which promises us an explosive breakout. My guess is that it will be downwards. With all that said, we certainly remember that in the market ANYTHING CAN HAPPEN. And all of the above is just my personal view of what’s going on. Would be happy to read your thought on these, @Wightpips! And from other guys on BabyPips as well, certainly! @belarusian.by Thanks, that’s a lot of work in that analysis! 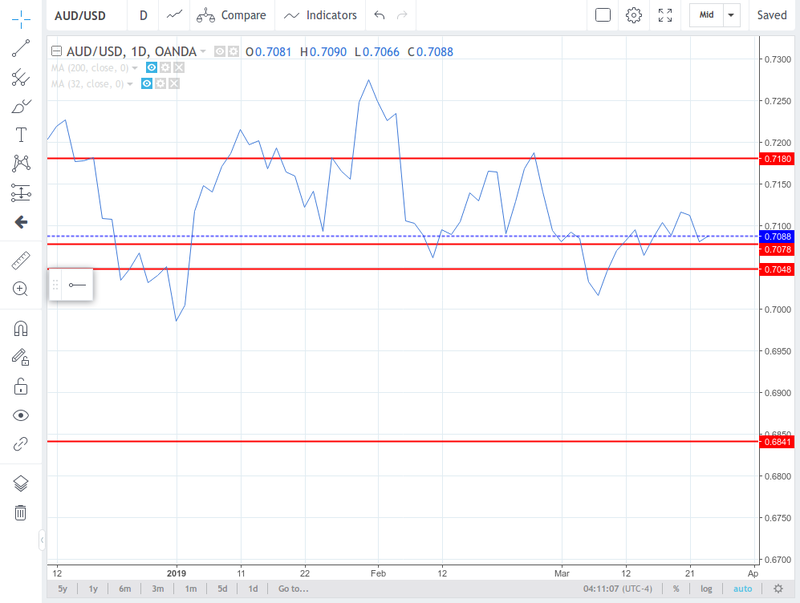 I draw look at trends from the close line charts Monthly/weekly/daily, interestingly when you switch to line on the AUD/USD then the down trend is not so clear. To me the last month is a narrow range and whilst there is the pin bar I don’t see anything to define an exit. Thanks again for this - I am now added NZD/USD to my watch list, there is room as I just deleted anything with GBP in it! Funny how the mind plays tricks - you (not in the trade) see a bearish pin bar, me (in a long trade) see an undecided bar ! Great perspective here. Glad you caught that and made time to share it. @belarusian.by hope you caught the NZD/USD down elevator too! Thanks for the tip on that one. As it tanked 80 pips overnight I am having to sit on my profit taking hands so that I trade the plan to .673 - I have recently made a rule that I can not get out early for less than 2:1 unless there is a clear end of day signal. Busy evening, as I put a sell stop on NZD/JPY as it is sitting on a strong S/R line so I have an entry below that. A Buy Stop on the S+P if it breaks the SR at around 2816 and a Sell stop on the EUR/NZD as it just hit the top of its down trend channel, but there is no PA so it might just blow right through - but stop entries are cheap! @mtb_rex, you are welcome! and will be happy to read your thoughts on the markets as well. @Wightpips, nice to hear you are in NZDUSD as well. My sell limit was activated, so now I am waiting for the target at that level as well. Also holding on to CADJPY and USDCAD. As we can see from the SW thread, most of other markets are in congestion too with top and bottom pairs being within 2% range. That means that we might see some intensive moves all across the board in the future. And hope to get on the right side. There has been a nice bullish pinbar on Brent Oil recently. Although not too far from the top. I will skip this one. And the same we had on AUS200, resulting in a nice bullish candle. We’ll see if it has a follow through. By the way, @Wightpips, did you hit TP on your gold trade? Got out on time? @belarusian.by Nope got stopped out on Gold - and had my two stop entry’s triggered and stopped out in the same move and missed the short of EUR/USD - so not a good day yesterday. However learned a few things about over exposure to one currency and entry placement so not a complete waste (he says through gritted teeth!). I am bullish on the S+P waiting for a close above the 2816 SR - I did have a stop entry but sworn off them until I figure out how to avoid the same farce as yesterday! On a separate subject the passive aggressive notes from the forum algorithm when I post are really getting on my wick. Hello, guys, sorry for not posting for a while. Been overwhelmed by my day jobs and looking for a proper school for my kid. There are some reflections I have on my trades in March generally and some specific trades. I will post them over a couple of oncoming days. Congrats to @Wightpips on choosing the right side on stocks! I also abandoned my bearish bias and limit orders due to lack of evidence to support those. For now I am bullish on GBP as the House of Commons took over control of the Brexit process and the probability of no deal greatly diminished. A lot depends on EU now, though. And I am now a bit confused about USDCAD. Yesterday’s candle seems to be a bullish signal, but today’s PA does not seem to fit into this picture. And it’s NFP day tomorrow after all. Hey @belarusian.by - great to see you back - pesky day jobs! Plus it is in a 4 month uptrend - not standing in front of that train! I have been out of the market for the week - So far not seen anything I like. Disappointingly my limit order fiasco took me from a 6% month to a 0% month so I am being just as profitable by being out! USD/CAD looks OK now - but waaay too choppy for me. I agree I am lining up a long term long on GBP, IMO it is like a coiled spring and will explode upwards at the first sign of any certainty so around early May is my forecast. - Having said that on pure PA I would be shorting GBP/USD as the 3/4 and 4/4 pattern is just the same as the last 3 peaks before a down swing - assuming it closes below 1.304. Alright, I will go over some lessons I learned in March. I have been thinking what my mistake was. It was not just greed. Although greed as well as fear is behind any of our mistakes in the market. But there was a more specific mistake that is jumping to another strategy. I realized that my interest in H&S pattern was not justified, cause I don’t trade that pattern and basically don’t know anything about it (apart from the visual representation). And if you ask a person that trades this patter, he would tell you that those only work as the exhaustion patterns after a lengthy trend. Which just was not in place in my CADJPY trade. So, my lesson from this trade is very trivial: do not change your strategy, even when a pattern fits your strategy AND also another one, do not be driven by this another one. Normally with my strat I would place TP at 82.3 in such a situation. And this would have made a nice trade in this case. Instead I barely got out at breakeven, manually, with my initial trade bringing some profits and my added position giving me some loss. After that event I also got out of my USDCAD trade to re-evaluate my approach. So I finished March with some solid profits around 6.7% of my account. Apart from my Dow Jones trade the profits also came from a GBPUSD trade that I did not post here. It was taken based on analysis of political developments and does not follow my strategy. But I was not uncertain about the outcome, as they say. Such stuff happens rarely. I will post the picture of my stats for March and Q1 later on. About the recent trades. I got into the Gold trade off the middle of the 4 April pinbar. And now watching the market taking my profits away from me as it reversed at 1310. Guess I just missed the 1305 support turned resistance and did not watch it properly. Could have walked away with 200 pip profits. I think I will quit this one manually at break even, if it goes there. But I will give one more thought later.